Leader Garden Condo have an area of 11 acres of freehold residential land which is well placed within cool green hills in Tanjung Bunga. It is only 10km from the heart of Georgetown and has easy access to the beach resorts, hotels, nightspots and famous beaches of Batu Ferringhi and Teluk Bahang. This project consists of one 5-storey low-rise block, two 21-storey, high-rise blocks and a 3-storey clubhouse. All units offer wonderful and breathtaking views of the lush green hills and sea in the distance. Each unit has a private balcony with a scenic hills-view. Aesthetically designed high-rise towers make Leader Garden an impressive landmark in Tanjung Bunga. 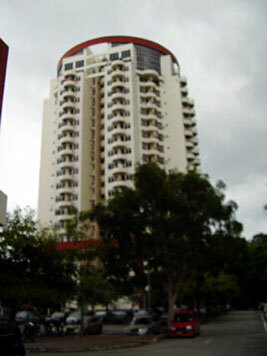 The neighbour of Leader Garden is Azuria Condominiums. Built-up Area : approx. 3,100sq.ft.